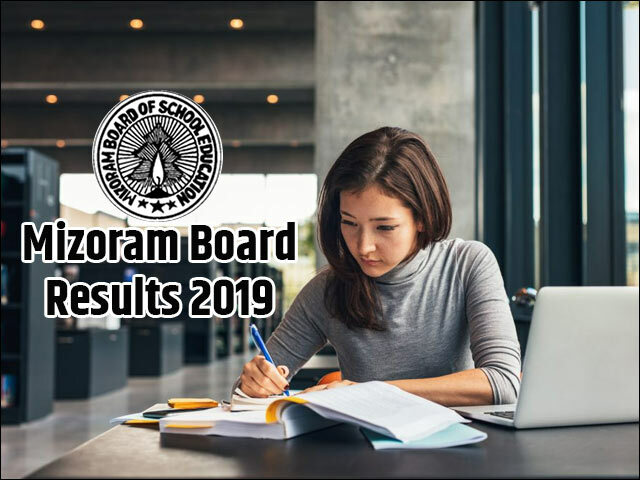 Mizoram Board Result 2019 - Mizoram Board of School Education (MBSE) is responsible for declaring the Mizoram Board Result 2019. The board will declare the MBSE HSLC Result 2019 and MBSE HSSLC Result 2019 for students who will be appearing for the class 10th and 12th exam. According to the official notification released by the Mizoram Board, the MBSE HSLC 2019 exam are scheduled to be held from Feb 28 onwards, whereas the MBSE HSSLC 2019 exam will be held from March 5, onwards. The Mizoram Board exam will be followed by the MBSE Result 2019 which, if follows previous year trend, can be expected in May 2019. The Mizoram Board will declare both MBSE HSLC Result 2019 and MBSE HSSLC Result 2019 in the month of May with a week or two gaps between the two exams. JagranJosh will update the MBSE Result 2019 link in this article as soon as the result is declared. Students will also be able to check their Mizoram Board Result 2019 from the official website of the board- www.mbse.edu.in. Students preparing for the Mizoram Board exams are recommended to bookmark this page for smooth access to the MBSE Result 2019. JagranJosh will bring in all the latest news and updates in regards to the MBSE HSLC Result 2019 and MBSE HSSLC Result 2019. With the final dates of MBSE Result 2019 not yet announced, experts suggest the Mizoram Board Result 2019 could be expected soon after the completion of the exams. If the board chooses to announce the MBSE HSSLC Result 2019 and MBSE HSLC Result 2019 as per their academic calendar, the results could come out in the month of May. Once officially announced by the Mizoram Board, the students will be able to check their Mizoram Board Result 2019 online on this page of our website. How to check MBSE Result 2019? The students should view and download or save their MBSE Result 2019 on their systems for future references. This download / printed copy of Odisha Board Result 2019 can be used by students as provisional results until official mark sheets are provided by the board. We request all the students to collect the original mark sheets for MBSE HSLC Result 2019 and MBSE HSSLC Result 2019 from their respective schools once they are made available by the Mizoram board. The MBSE Result 2019 Analysis will be done after the MBSE HSLC Result 2019 and MBSE HSSLC Result 2019 are declared. The Mizoram Board exams 2019 are yet to be conducted; hence students are advised to go through previous year result analysis to get an idea of the overall passing percentage of both male and female candidates. What after MBSE HSLC Result 2019 and MBSE HSSLC Result 2019? After the MBSE Result 2019 is declared, the first thing to do is check the Mizoram Board Result 2019. The result day is going to be chaotic as lakhs of students will be checking their MBSE Result 2019. The next step after checking the MBSE HSLC Result 2019 and MBSE HSSLC Result 2019 is to prepare for college admissions. Students are advised to download their Mizoram Board Result 2019 or take a print out of the same. Although the students will be provided the facility to download and to take a printout of the MBSE Result 2019 scorecard, they must remember that these are merely provisional results. The students are informed by the board that the online score cards of the MBSE 10th Results 2019 and MBSE plus two Results 2019 will not be considered in place of original, and are provisional. The students should download the Mizoram Board Result 2019 on their system only for offline viewing, and to be used as a reference for admission formalities. Authorities will always ask for the original mark sheets issued by the board to corroborate the online / printed scorecard before completing their admission formalities. When the MBSE Result 2019 is declared, it is going to bring cheer to some and disappointment to some. The results are not an end to a career, something a student must know and accept. In case the students do not feel that their efforts have been truly justified in the scorecard, they can apply for re-checking / re-evaluation of the answer sheets. In case there is any change in the final mark tally, the same would be updated in the original mark sheet. Most of you have a tendency of comparing the marks with one another. Especially the parents of the top meritorious students compare their children's marks. They also decide about the next step after the MBSE result 2019 is out. But there are some students who are not able to score passing marks in the examinations. The Mizoram state government also has an option for them. They are now no more going to lose their entire year. By taking up the supplementary examination, the students who didn't qualify for this exam will be able to proceed further by just appearing for the exam of subjects they have failed in. Students are advised to bookmark this page for any update on the Mizoram Board Result 2019; they can also fill in their details on the link shared in this article to receive notification in regards to the MBSE HSLC Result 2019 and MBSE HSSLC Result 2019. The Mizoram Board of School Education looks after the school level education in the state ranging from elementary, secondary and higher secondary levels. The Mizoram Board is constituted by Academic, Examination and General Units and takes care of everything related to HSSLC and HSLC education. Over the year, the board has set new standards for others to follow in terms of academic success by integrating local cultural traditions with modern day teaching pedagogy and syllabus. The Mizoram Board of Secondary Education or MBSE was formed in the year 1975. The Act to form the MBSE was passed with the consent of Mizoram Union Territory and the state Legislative Assembly. The MBSE preserves all power to control and regulate the academic proceedings of the Mizoram Board. Even the syllabus and timetable of exams are made and controlled by the board. The Mizoram Board of School Education (MBSE) has released the board exam 2018 datesheet for class 10th and 12th on their official website i.e. mbse.edu.in.